If we try to imagine a typically harsh industrial environment, we probably think of a smelter with its cauldrons of molten metals and its mammoth facilities. But last November, when the corporate giant General Electric (GE) presented its new piece of machinery for the manufacture of metal components, its appearance more closely resembled that of a supercomputer than the classic forge. It is one of the innovative metal 3D printing systems, a new generation of capital equipment that experts say is destined to play a key role in the next industrial revolution, in the same way that its predecessors sparked the first one back in the eighteenth century. 3D printing has become popular during the beginning of this century, becoming a technology commonly used in various situations, from prototyping to small-scale manufacturing, and even NASA is studying its applications for the construction of a station on Mars. But until now these systems have been based mostly on the use of plastic polymers as the raw material, which limits their usefulness. However, what’s currently taking off is the new metal 3D printing technology—or, more correctly, additive manufacturing, as it is called in the industrial field in reference to the production of components by adding one layer after another. For the journal MIT Technology Review, this is one of the top 10 revolutionary technologies of 2018. 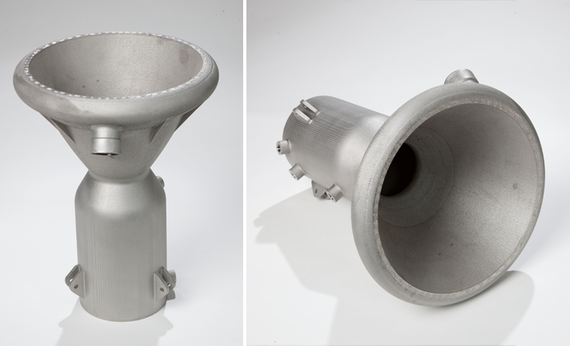 In fact, metal 3D printing took its first steps almost simultaneously with the plastic version in the 1980s and 1990s. The basic technique consists of a laser that moves across a bed of metal alloy powder, melting it in precise places to create a cross section of the object, to which new layers are added following the digitised plans of the piece. But this technology had been slow to catch on because the benefits are inferior than those of traditional mould manufacturing, especially in terms of strength—the metal obtained by printing is more porous—and of scale, both in the size of the pieces as in their quantity. But one proof of how this technology is advancing in giant leaps is that it’s already revolutionising itself. In a niche of the market opposite to that of the gigantic and expensive device from GE, the company Desktop Metal, co-founded by engineers from the Massachusetts Institute of Technology (MIT), has already launched metal 3D printing machines that not only surpass traditional manufacturing systems, but also produce metal parts up to 20 times cheaper and 100 times faster than metal printing by laser. Created in 2015 with the participation of Emanuel Sachs, one of the inventors of 3D printing, Desktop Metal has a technology that lowers the cost by replacing the powerful and expensive lasers with a type of glue that binds the metallic powder and then eliminates it when heating the metal to fuse its grains. 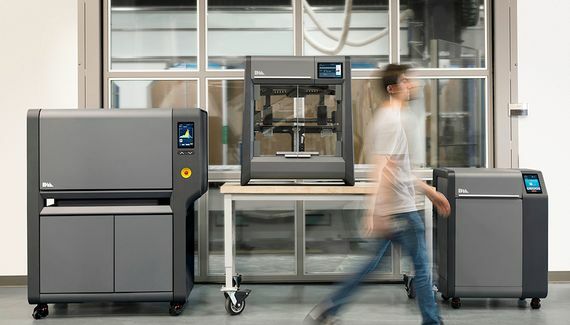 The printers from this company can cover the needs of both small-scale prototyping as well as the mass manufacturing of small components, and from only about $120,000.